The guy in the middle is playing a brown guitar on TV. Suddenly everybody wanted this very model. And it wasn’t a Gibson. But it was brown. Have I mentioned that vintage guitar folks are a little nutty? I think I have. I’m referring to the almost universal dislike of the “walnut” finish that Gibson started offering in 1968. It’s pretty clear why the folks at Gibson added the brown stained walnut finish to the line. In 1968, perhaps the most coveted guitar on earth was the Gretsch Country Gentleman. 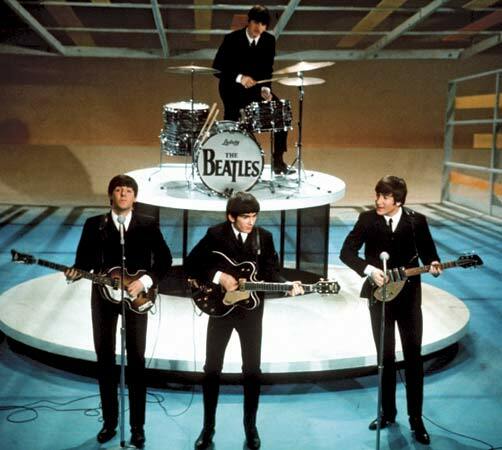 George played one, so any Beatles obsessed kid had to play one. And the color? Well, you know the answer to that one. Walnut. Of course the guitars weren’t made from walnut, they were maple laminate stained brown and walnut is what they called it. So, Gibson saw the opportunity to perhaps grab a piece of that market and added the finish to the line and it proved relatively popular. They didn’t keep track of what was eventually called the ES-335TDW until 1970 and by 1971, it was the most popular color for 335’s outselling red and sunburst. In 1973, they sold 2012 TDWs as compared to 1793 reds and only 540 in sunburst. It was also cheap to produce. Probably even cheaper (and easier) than the red ones. Dark brown can hide a lot of flaws and allows a lot of room for error. In fact, Gibson used the same stain for the backs of the ES-330 sunbursts because they were too cheap to paint both the front and back in the more time consuming sunburst finish. Still, both the Gent and a walnut 335 were expensive guitars back then so it wasn’t the kids who were buying them (it was probably the parents). I wanted a Gent back in the 60’s and actually had a Gretsch Tennessean for a short time. I didn’t particularly like it and went back to my SG pretty quickly. I couldn’t afford a 335 or a Country Gentleman and my parents weren’t buying guitars for me as long as I was making money playing in a band (yeah, $100 a night for six of us). They also had eight other kids to buy stuff for but that’s a different story. Fast forward to the present and there are plenty of brown 335s out there from the 60’s and 70’s. They are cheap and some of them are probably quite good. There is nothing wrong with a 68 or early 69 335 if you can handle the narrow nut. Many 68’s still have pre T-top pickups and are quite well made. By mid 69, they had started cutting some corners and the neck tenon pretty much disappeared making the mid 69’s and later guitars less stable at the heel. 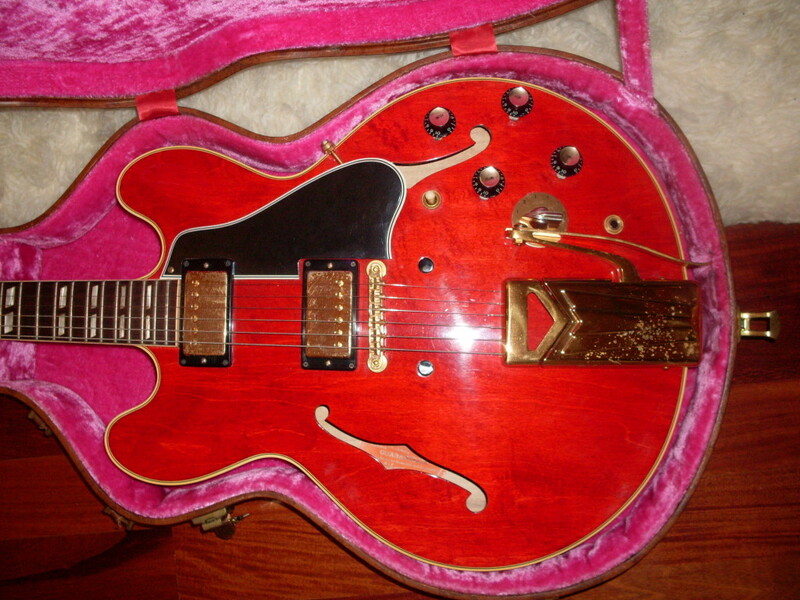 68’s sell pretty well and for decent prices especially for red and sunburst finishes. The brown ones? Not so much. Vintage folks don’t seem to like them very much, myself included. I see 335’s being sunburst, red or natural. I like them in black and my Pelham blue Trini was pretty awesome. But brown? Well, it’s so, I dunno, brown. I don’t buy a lot of later 60’s 335’s but I’ve played enough of them to know that they can really sound great. The same goes for the early 70’s-just try to play before you buy-there are some real dogs among the gems. So, if you can handle the brown, you can probably save yourself $1000 or more. You can always have it refinished. Other than the fact it’s brown, it’s still a pretty nice ’68. These tend to sell for less than the same year sunbursts and reds. I found this on the internets. I wish I had some carving skills but I don’t. I can do a couple of triangles for eyes and a pretty scary mouth but thats about it. Well, it’s almost Halloween so I feel kind of obligated to write something scary. You might think to yourself, what’s scary about buying and selling guitars but the truth is, it can be plenty scary. And not just what happens when the wife finds out that you spent $30,000 on yet another guitar (…but, dear, we’ll get it all back and more when I sell it…). Buying is a lot scarier than selling. The biggest downside of a sale is a guitar that comes back. Not very scary unless the buyer starts making accusations about how you misrepresented the guitar and how it isn’t really a Gibson but a Chinese copy built by children in a sweatshop in Guangdong. For the record, this never happened. The scary stuff is on the buy side. Anyone who has bought a guitar from Ebay or Craigslist knows what I mean. And it isn’t just the fear of getting scammed. Buying a guitar from a non guitarist such as the family of the last owner can be fraught with danger (and not Carlos Danger which might be the best Halloween costume this year-an Anthony Weiner mask and a cellphone?). So, what scares me when I buy a guitar that I’m not able to inspect in person and has no return policy? Plenty, which is why I don’t generally do that. Undisclosed cracks and refinishes are the big fear because they will cut your investment value in half no matter how good the rest of the guitar is. Make sure you ask the seller if the guitar has the original finish and no cracks or repairs using the Ebay question form. And pay using Paypal. That way, if the guitar shows up with a headstock crack, you can file a complaint that the guitar wasn’t as advertised and try to get your money back. If you don’t ask, then it wasn’t misrepresented-it’s merely an error of omission. I know, it’s not fair but that’s how they see it. So ask. Paypal buyer protection works, you just have to prove the other party guilty which can be pretty nasty (the headstock was fine when I sent it or Fedex broke it or, worse, the buyer broke it on purpose just to get his money back). These things all can happen. Refinishes are a lot trickier and can result in some ugly confrontations like “…I’ve owned this guitar since 1971 and I guarantee it hasn’t been refinished…” except that there’s red paint inside the f-holes. This actually happened to me and if I had any guts at all I would name the seller but I won’t. Then there are the changed parts which you can almost count on. Fully 90% of the guitars I’ve gotten from Ebay or Craigslist have something changed and it shouldn’t surprise you because 50 years is a long time for anything to remain completely original. It’s usually a knob or the bridge or the nut or something benign like that so I don’t even bother making an issue of it. I’ve been sent photos of guitars by folks who want me to buy them that have been renecked, re-bound, oversprayed and replated. Generally, they aren’t trying to misrepresent the guitars-they just don’t know-this is pretty geeky stuff. Fortunately, I know what to look for and, if you’re a regular reader, so should you. That’s the whole point of the blog-to let you know the stuff that I’ve learned by owning so many of these (close to 300 now). So, pay attention and caveat emptor (buyer beware if you don’t speak Latin). Oh, and one last thing…if you’re the girlfriend and you’ve just gotten out of bed with the hunky boyfriend in the slasher movie, do NOT go out to the garage to get a beer out of the fridge for him. Tell him to get it himself. 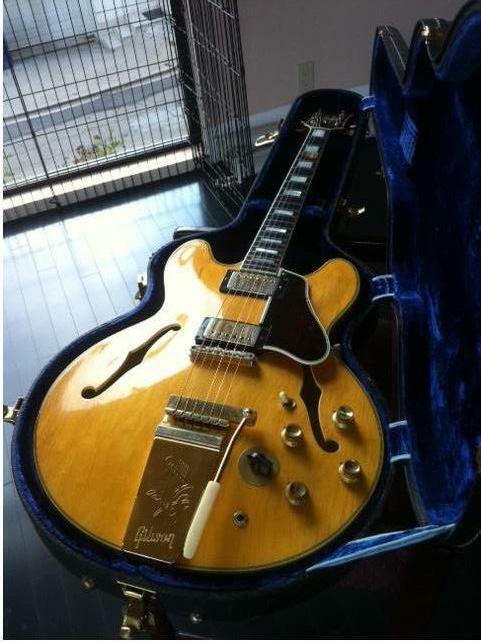 This 60 mono ES-355 listed on eBay looks great. A little too great. 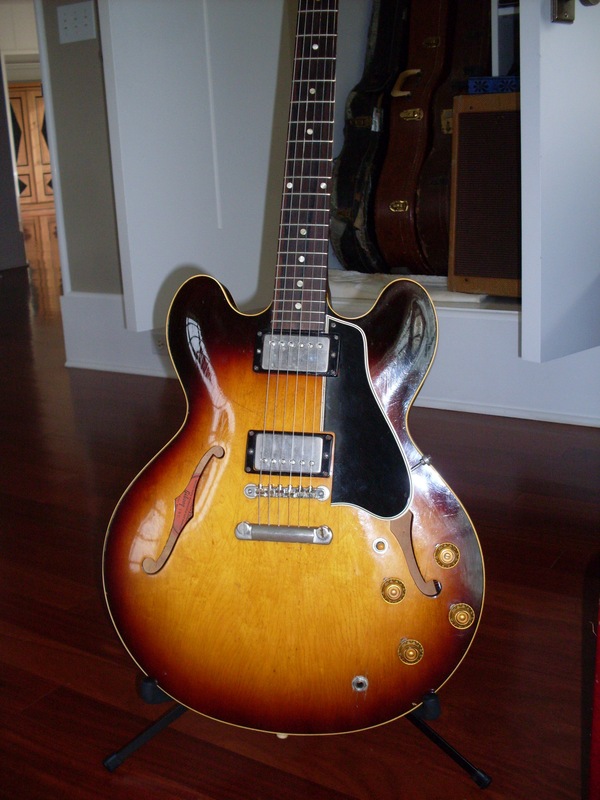 Nice one too-long guard, black knobs, amber tip…my favorite combination of 355 features. Is it me or does that gold look a little too good? That guard looks awfully good too not that I can tell from the undersized photos. . Most of you know that I love, love, love mono ES-355’s. There’s one on Ebay that looks just great, although it’s priced out of the realm of, well, reality. Unless it’s one of those stupid rare stop tail 355’s, $17000 is a bit on the pricey side if you ask me. But, then again, if it had a pair of double whites and was close to mint, then maybe it isn’t so pricey. Of course, the seller doesn’t mention the bobbin color and I haven’t asked him. But here’s what struck me. I’ve had a number of mint ES-345s and 355s over the years and I’ve never seen one with hardware anywhere near this clean. Fifty five year old gold just doesn’t look this good. The plating is very thin and gold is very soft so anywhere you touch on the hardware is bound to wear. The gold on this guitar looks perfect and I mean perfect. That sets off an alarm. Hear it (woo, woo, woo)? If that gold is original, I will buy the guitar and eat it. How do I know? 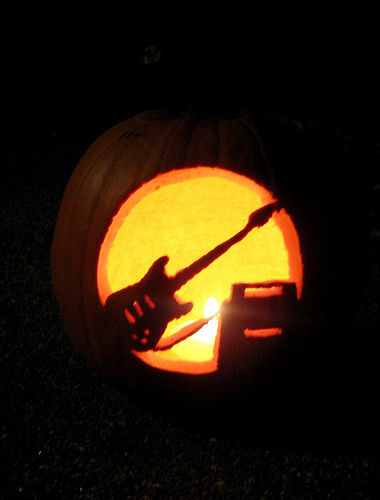 Well, like I said, it looks too good…like somebody replated it and then never played the guitar again. You’ve got to rest your hand somewhere and there doesn’t appear to be any wear at all. I recently replaced the tailpiece on a 345 with a gold repro and I wore the gold off of it in a month. I think the plating is even thinner now than it was back then what with gold at $1600 and ounce as opposed to $32 is 1960. Even so, the gold shouldn’t look that good. Look at the frets-plenty of oxidation meaning the guitar has been unplayed for a long time. When a 355 is left in the case for a long time, the celluloid used in the tortoise guard usually off gasses and corrodes at least some of the gold. Gold itself doesn’t corrode under normal conditions (nor does it tarnish) but it sure wears easily. So, I’m going out on a limb here and I’m going to suggest that this guitar is being misrepresented. It sure looks great and I’d love to own it but doesn’t it kind of make you wonder what else the seller isn’t telling you. Funny, he alludes to the new looking hardware but doesn’t come out and tell you it’s replated. On the other hand, the seller has zero feedback, so a certain level of common sense is called for in any case. Actually, what I really want is the case cover. Those are really tough to find. I’ve had two over the years and sold them both to clients who just about sold their souls to get them from me. So, maybe I’ll make him an offer once I find out what the real story is behind that hardware. I can tell you the Bigsby isn’t a repro. It’s tough to tell whether the other parts are or aren’t repro from the not so great photos but I’d bet they are original and replated. Update: One of my guitar buddies emailed the seller and he acknowledged that the gold was replated (after I suggested it might be). If I were buying it, I’d swap out the replated hardware for some properly worn original parts or I’d play the crap out of it until I wore some gold off of it. 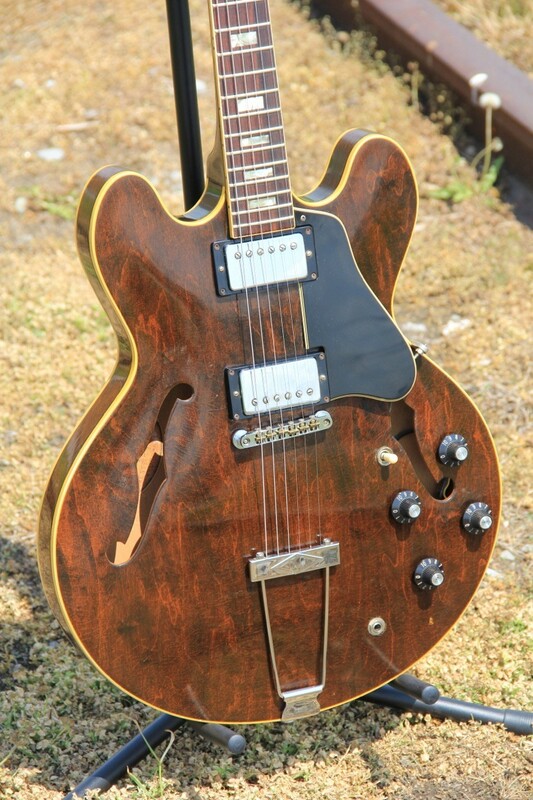 This 60 ES-345 I had a while back was this close to dead mint. It was hardly played but the gold still showed some deterioration and a little wear as well. I flew to Nashville this week to get this one owner unbound 58. I went to Nashville this week to inspect and purchase a one owner ’58. I almost always do the higher end purchases in person and when the seller is more than a few hundred miles away, I fly rather than drive. I should point out that I don’t like flying with guitars. The folks at the check in will always tell you that you can’t take it on the plane. I always insist on having it checked at plane side and then I talk to the flight attendant when I get there about getting the guitar onto the plane. They almost always say they don’t think so and then they figure out a way to do it. I have only checked a guitar once on a very small plane and I was allowed to watch them load it into the baggage compartment. The big airlines will accommodate you if you press them and you do it nicely. Otherwise they won’t. I flew American from Nashville to LaGuardia in New York and they were most accommodating and very nice about allowing the guitar to accompany me on the plane. As usual, the guy at the check in counter said no, the baggage guy at planeside said he didn’t care and the flight attendant was very good about finding a way to fit it on a relatively small plane (with a lot of empty seats). It is important to try to get on a flight that isn’t full. It’s hard for them to say no with 50 empty seats. Incidentally, I packed the guitar with bubble wrap in the case so if it had to go into the cargo hold, it would have a better chance of survival. But wait, didn’t I call this post “Lethal Weapon”? Yes I did. Apparently, I was carrying one when I tried to board in Nashville. The weapon in question? My big ol’ Stew-Mac truss rod wrench. They said you can’t carry a tool more than 7 inches long and told me to check the bag ($25), mail it to myself ($13) or give it to them to confiscate. Now, correct me if I’m wrong but I have to assume they are looking for dangerous items. I’m pretty sure you can’t hijack a plane with a truss rod wrench. First of all, it has no pointy ends. A Phillips screwdriver would probably work better and, if it’s less than 7 inches, you’re free to get on board with it. I guess I could travel with a smaller one but I really like the big one-which I’ve flown with at least twenty times before. You would think the guys in Nashville would be used to these things by now. Every other guy in the airport was carrying a guitar it seems. Consider this scene in your next thriller movie: “Nobody move. 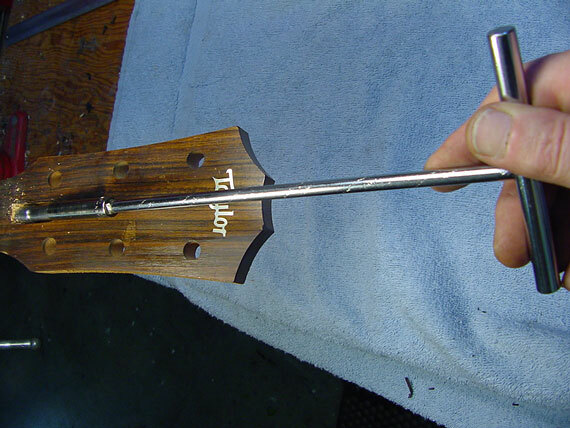 I’ve got a truss rod wrench and I’m not afraid to use it.” Or “Take this plane to Havana…I’ve got a truss rod wrench and I’m not afraid to use it.” Yeah, I’m not afraid to use it to add a little relief to this guitar but beyond that, it’s pretty well useless. I understand the TSA has a difficult job to do-if there’s one shoe bomber, I guess we can all be shoe bombers, although I don’t recall a belt bomber. But really, a guy carrying a guitar case who has a wrench used to adjust guitars (that has no function at all as a weapon) is probably a safe bet not to be a hijacker or bomber. I could probably do more damage with the guitar (or my suitcase) than I could do with a truss rod wrench. This isn’t even my truss rod wrench but it looks just like it. Stew Mac doesn’t make it any more so I wasn’t inclined to let the TSA have it. I mailed it back to myself and it’s somewhere between Nashville and Connecticut. I don’t think I could swat a fly with it. It would probably hurt if I bopped you over the head with it but I doubt I could do much damage. Let me take off my guitar sellers hat and put on my guitar buyers hat. They are different, I assure you. As a buyer of vintage guitars, you have a fairly broad range of options. You can, of course, buy from a vintage dealer but all vintage dealers aren’t created equal. More on that later. Then there’s the usual open market venues like eBay and Craigslist. beyond that, you can go to guitar shows where there are, of course, plenty of dealers but also walk-ins who have their personal guitar to sell. You can also look in local newspapers but don’t hold your breath-the want ad is pretty much dead. 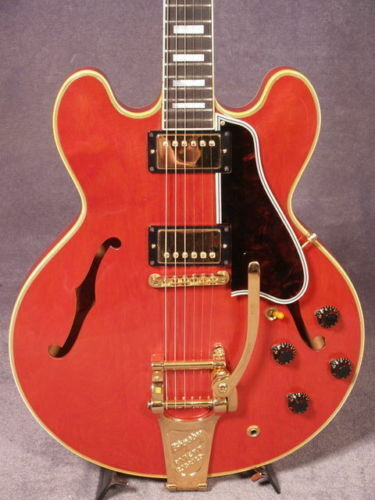 You can get a great deal on a vintage 335 or the like from any of these places but, unless you’re buying from a reputable dealer with a return policy, you are taking a risk. Not necessarily a big risk but you’d better know what you’re looking for. The reason I started this blog-besides the obvious reason of getting you to buy a guitar from me, was to educate you so you don’t have to (buy from me, that is). That said, you might ask where I buy guitars. I buy them pretty much everywhere. I always like buying from a fellow dealer-there are fewer problems with authenticity, packing, shipping and, especially, changed parts. That’s not to say I don’t get guitars from dealers that aren’t as described. I do and more often than I’d like but I’ve never had a problem with a dealer taking back a guitar that wasn’t as described. Sure, they’ll grumble about it and try to get me to keep it but they are usually pretty good about it. Not so with private sellers. I ask a lot of questions. Questions that uneducated sellers can’t reasonably answer. Therein lies the big problem with buying from Craigslist and eBay. It’s not that the sellers are dishonest (although some are). The problem is that most sellers aren’t experts; in fact most of them don’t seem to know anything about the guitar they are selling other than what they can learn from a simple eBay search of the same model. Most sellers can get close on the year by using the serial number PDF that is available but since Gibson re-used so many serial numbers in the 60’s, they are left with a choice and they always pick the oldest year. I can’t tell you how many 68-69 335’s are advertised as 65’s. Fully 90% of the guitars I’ve bought through Ebay have some undisclosed issue that couldn’t be discerned from the photos. Most are pretty benign, like a changed bridge or replaced knobs but sometimes it’s serious. Necks with back bows, rewound pickups, headstock cracks and the like. These things don’t always photograph well and a seller with limited knowledge won’t know what to look for. Since most eBay guitars are overpriced anyway, I don’t buy very many that way. I don’t buy that many through Craigslist either and I’m even more careful than I am with eBay. At least with eBay purchases, you get some level of protection from Paypal. It’s not ideal but I’ve used the service and it has worked for me. Craigslist offers no protection at all. It’s caveat emptor and I’m really careful. Most times, I’m buying expensive guitars and it makes sense to go and see them in person and that’s what I normally do. Buying a guitar from an individual who, say, got the guitar from a deceased relative, isn’t a low risk operation and usually requires a trip. Buying from a player who knows his stuff is a little different and a little more trust is usually warranted. A phone call and a frank Q&A session can be pretty productive and I’ve bought a fair number of guitars from Craigslist without making the often long trip required to make the deal in person. Finally, a quick trip to Gbase or, if you’re in Europe, Vintage and Rare is a good place to start looking for a dealer selling the guitar you want. My advice? Ask a lot of questions, don’t over pay (check my prices to compare) and make absolutely sure there is a return policy. Just because you’re buying from a dealer doesn’t guarantee you that you’ll get the guitar you think you’re getting. The chances, however, are better that you will and that’s worth a few extra bucks. I love old Epiphones and I buy a few every year just so I can play one for awhile. This wasn’t the actual one with the problem-but I can still make the point. I bought a 62 Epi Crestwood, just like this one, off of Ebay. I owned it for 3 months when I took it to my repair guy for some neck adjustment. It took him five seconds to find the crack in the headstock that I had completely missed. After three months, I was out of luck.